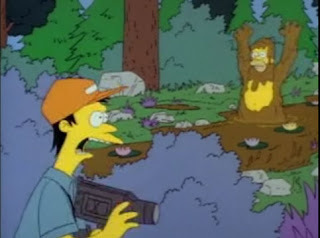 In the Simpsons TV show's first season Homer and Bart go feral, dressing in leaves and roaming the forest. 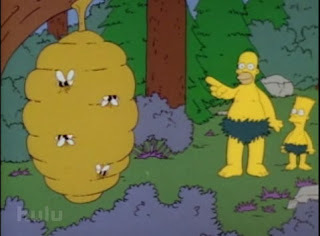 Then Homer decides to eat honey... from the hive. 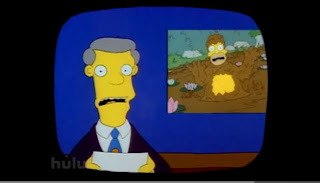 Needless to say, he becomes a Bigfoot after rolling in some mud to escape the bees' attack, and enters the annals of tabloid journalism history. 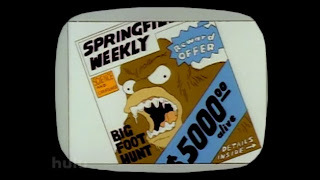 Actually, this episode displays well the way hype and hyperbole, rather than reason, dominate the coverage of the Sasquatch topic. 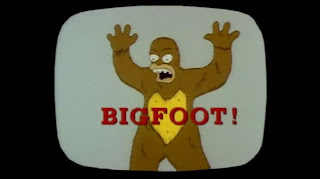 Not quite the Patterson-Gimlin Film! 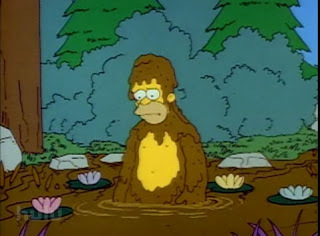 Poor Homer. 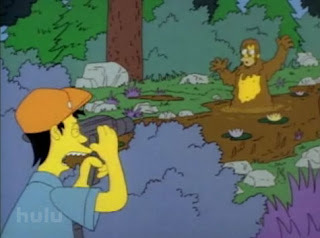 Now he knows how Bigfoot feels! 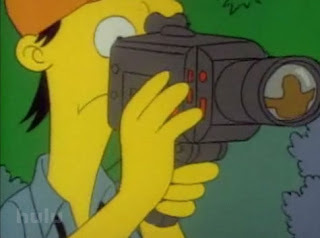 It appears as "raw video" on the news. Blatant tabloid exploitation!! Watch it HERE online... OOOPS! UPDATE: They've removed that video from the site. 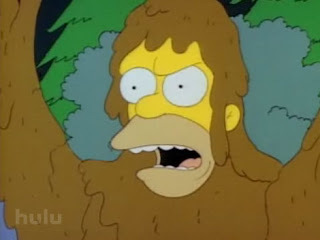 Try this one instead, "I MARRIED BIGFOOT"
TRINITY COUNTY, DEL LOMA: Bigfoot is known to roam in Trinity, just east of Willow Creek on Highway 299. Keep your eyes out for the creature along the roadside. 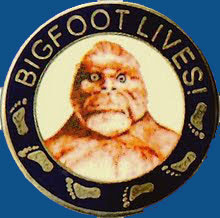 A fishing Bigfoot and a bigfoot sign are found at a campground and RV park there. 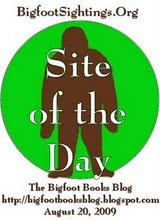 BIGFOOT RAFTING puts in rafts there, too. It is a good starting point for a trip downstream that includes "Hell Hole," a wicked rapid. Coming on in to Willow Creek one may visit the fairly recently opened BIGFOOT CONTRACTOR'S SUPPLY. They have a few BF curios in there. Here is some interesting rope artwork that old-time cowboy BOB GIMLIN made; here a piece given out as a doorprize at the Yakima event. Very cool! A sort of cowboy lariat Native American dream-catcher, with bandana, boot and... inverse pentagram! All for now. 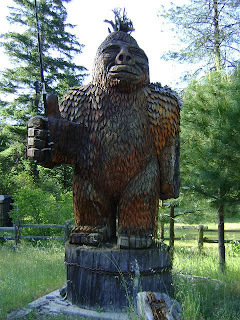 The next Bigfoot Miscellany will cover more BIGFOOT HUMOR, plus images from the Squatchy little Siskiyou town of HAPPY CAMP.